Alright, I have put this off long enough! Time to do my yearly ritual of witchcraft–erm, I mean, long range forecasting. Let’s make this clear from the beginning: There are many variables to consider when making a forecast that extends months into the future; weather forecasters struggle enough to get tomorrow’s forecast right. Among the most popular ways to determine long term trends are ocean temperatures, which can play a significant role in what kinds of land temperatures and precipitation will be most prominent during a given season. At the present, the north Pacific Ocean is in a cold phase, which has correlated to cooler, more active weather for the West in the past, but isn’t necessarily a determining factor. In addition, the equatorial Pacific can give us an even clearer look into general seasonal weather patterns, from the development of an El Nino event, which leads to warmer and drier conditions for the Pacific Northwest, or a La Nina pattern, which brings colder and wetter weather. Unfortunately, neither of those patterns will be able to help in this year’s forecast because we are witnessing the rise of what is unofficially known as La Nada. That’s right: no warm signals and certainly no cold signals. It’s no wonder meteorologist call this pattern a “wild card”. 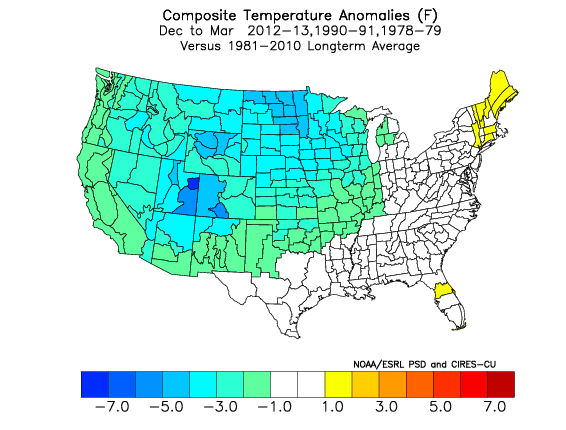 Let’s revisit what analogs are and why they might be useful in constructing a forecast. 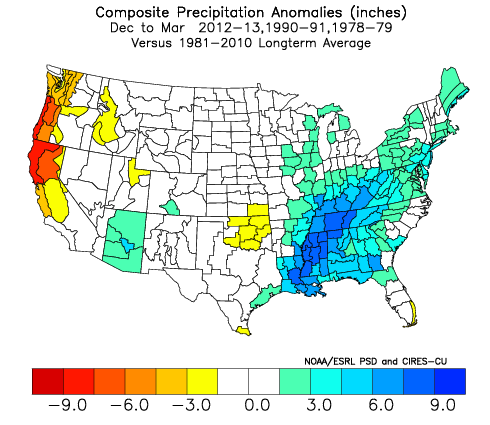 Analogs are past years that exhibit some similar weather activity to the current year, and as a result weather forecasters try to match up the past with the present to see if there’s some type of correlation or pattern occurring. More often than not it’s just a guide, but sometimes history does repeat itself. If any of you remember the winters of 2012-2013, 1990-1991 or 1978-1979, you will recall that there’s a healthy mix of benign weather (dry, mild, no snow) and awesome weather (arctic intrusions, buckets of snow). 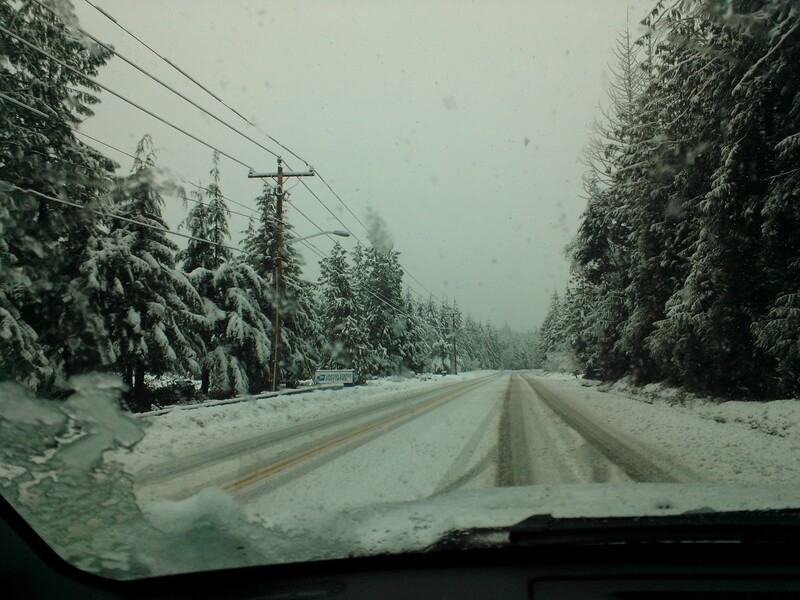 As it so happens, that’s probably the best description of what to expect this winter. There are some strong signals indicating December will, once again, provide us with some of the best opportunities for some chilly weather, but perhaps not the most ideal for snow. The reemergence of a pretty healthy ridge will limit the amount of precipitation we receive, but not for long. After a generally pleasant beginning to the month, there are signs that the jet stream will gradually begin to sag south and west, bringing in a decent shot of cold and moist weather. Could this result in a repeat of last years white Christmas event? The chances are, of course, very low, but it looks like we could at least be heading in the right direction. Temperatures will average a couple degrees below normal with precipitation right around average, if not a little below. January, as a whole, looks downright chilly for most of the country, with very little in the way of temperature fluctuations. An active jet stream and negative PNA (Pacific/North American teleconnection pattern) should also increase the mount of storminess on the West Coast with plenty of mountain snow and several shots at lowland snow. This doesn’t look like a pattern conducive to too many “Pineapple Express” systems, however, so precipitation likely won’t exceed average by much if at all. The coldest and stormiest periods will be between the 1st and the 15th with a gradual change for the drier by the end of the month. February, as has been typical in the Northwest for quite some time, will be drier than normal, but this time with a twist: It also looks a bit chillier than normal. This will be primarily due to cold overnight low temperatures, as most daytime temperatures should average at or slightly above normal. The most active weather will be found further east as the PNA shifts to a positive phase and the North Atlantic Oscillation, or NAO, takes a plunge. However, it looks like we could run into a few “overrunning” events along the Hood Canal as we switch to some milder weather towards the end of the month. After a chilly start, we’ll likely see fairly tranquil conditions be the dominant feature through March with below normal precipitation. In fact, we could see some record high temperatures towards the end of the month. So there you have it! A pretty cold and active beginning to winter with a gradual change to milder and drier weather. We’ll check back in once spring rolls around to see how I did.